I created this page to show you all the apps and companies I use for financial success. I have used and highly recommend these services as ways to save and earn more money. If you want to read about how I set up my money system, along with all of the tools I use to keep my financial life running smoothly, make sure to read: The Financial Panther Money System (The Accounts, Tools, and Apps I Use In My Financial Life). Disclosure: There are some affiliate links below, but these are all products I use or have used and highly recommend. Simple bank is an online-only checking account that works perfectly for me (and naturally, as a tech-savvy millennial, I don’t have any real need to go into a physical branch to do my banking). It’s 100% fee-free (literally, they charge no fees for anything). They have one of the best-looking and intuitive banking apps out there (very important to me since my phone is my life) and they have really good customer service. Ally bank is another great option for both a checking account or a savings account. It’s 100% free, has no minimum balance requirements, has a good app, and offers a great interest rate on savings. My wife uses Ally as her primary checking account and I use Ally mainly as a savings account for any money that I can’t put into my 5% interest accounts. Ally is also the best bank to use as your “hub” bank account, since it lets you link up to 20 external bank accounts. Since Ally is 100% free, you really don’t lose anything by just having an Ally bank account in your financial system. I’ve had a Capital One 360 account way back when it was still ING Direct. Capital One 360 is a really good savings account because of how it lets you make sub-savings accounts. I’ve created different sub-savings accounts for all of my short-term goals. Plus, it’s a 100% free bank also with no minimum balance requirements. If you’re only getting 1% interest on your savings account, you’re totally missing out. Instead of getting no return on your cash, sign up for a few prepaid debit cards with Netspend and you’ll be able to earn 5% guaranteed interest on a minimum of $5,000. It takes a little bit of upfront work to set up, but once you’ve done that, your Netspend accounts run themselves with absolutely no fees. It’s definitely the best place to store your emergency fund. And the great thing is that you also get a $20 signup bonus just for funding your first Netspend account. Dobot is a great app to use as an alternative to Digit. It monitors your bank account, then pulls out small amounts of money each week that it thinks you won’t need. Over time, these small savings add up. It’s one of the must-have microsaving apps that I use. A great way to save money on your student loans is by refinancing them to a lower interest rate. 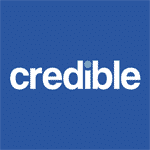 Credible is a great tool because it’ll get you a bunch of rates in one spot from a bunch of different student loan refinancing companies. From there, just choose the company that offers you the best rate. Plus, if you refinance your student loans using Credible, you’ll get a $300 signup bonus. SoFi was the first company that I discovered when I refinanced my law school loans and it’s definitely the biggest player in the student loan refinancing space today. Getting a lower interest rate is great and will make it easier to pay off your debt fast. But the thing that makes SoFi really unique is access to the member events. I know that me and my wife have easily snagged $1,000 worth of free food and drinks between the two of us. And, you get to keep going to these events even after you’ve paid off your loans! Without a doubt, the best bill management app out there has got to be Prism. I’ve been using Prism now for several years to help me manage and pay all of my bills in one spot. Best of all, it’s a totally free app. I used to always forget to pay my bills on time, but since discovering Prism, I’ve never been late on paying a bill. It’s probably my most used financial app. The first thing I do when I wake up is to open up Mint on my phone and check what all of my accounts look like that morning. If you’re not using Mint, you are missing out on a powerful tool to track your finances. When it comes to tracking your finances, it’s a good idea to have multiple apps tracking your accounts. The part that Personal Capital really shines is with its investment tracking tools. You can see your asset allocation, figure out how much you need to save, and all of that good stuff. And best of all, Personal Capital is totally free. Even if you’re already using Mint, you should also be using Personal Capital. It makes a great 1-2 punch with your money tracking. Check out my Side Hustle List for over 35 apps I’ve used to make money on the side. Get automatic cash back for purchases you make at certain places and a free $5 signup bonus. I’ve been using Dosh for a few months now to earn approximately 7% cashback on my spend at various restaurants and breweries around me. What makes Dosh really great is that it’s completely passive once you set it up. You just link your credit cards to Dosh and if you spend money at a participating place, you automatically get cash back to your Dosh account. You can then cash out your earnings to your regular bank account. Another cashback app where you link your credit cards and get points back based on spend at certain places. Drop also offers special deals which allow you to earn more points for certain purchases. These are rotating categories that you technically have to activate, so every once in a while, you’ll need to go into the app and activate these deals. It takes only a few minutes to sign up and get everything set up, so it’s not really a big commitment to get started. If you sign up for Drop you’ll get 1,000 Drop points to start off your account. Yep, you’ll be rich! With Ebates, you basically get cashback on almost any purchase you make online – typically around 2% -5% back. The extension only takes a few seconds to set up, and once it’s in your browser, it’ll automatically notify you if you’re on a website where Ebates offers cashback. I think everyone should use Ebates if they buy anything online. It’s pretty much a waste not to have it set up. Plus, use my link and you’ll get $10 free once you signup! Freebird is a new app that I’ve found that I’ve now added to my best cashback app list. Freebird partners with restaurants to offer cashback if you take an Uber to that restaurant. If you ever use Uber to go anywhere, this is a must-have app that you need to download. If you use my referral link, you’ll get $10 cashback on your first two Uber rides ($5 cashback for each ride). To make sure that the referral link worked, be sure to enter my code j622d in the promo codes section of the app (you’ll see it when you click on “profile” in the app). To maximize your cashback signup bonuses, also use the promo code FREERIDE and you’ll also get up to $25 cashback on your first Uber ride. Most people don’t realize it, but if you buy something and the price drops a little later, most retailers will give you a refund on the difference. The issue, obviously, is tracking this. None of us have time to go around tracking prices on our purchases. Earny takes away this problem by monitoring your purchases for you and then getting you refunds when there’s a price drop. They charge 25% of any refund they get you, but that’s worth it when you consider that you’d normally get nothing back. 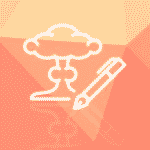 Check out the exact step-by-step process I used to start a blog. If you follow the steps in this guide you can have your blog up and running in under 10 minutes! I took this course over a year ago and it has been worth every penny. 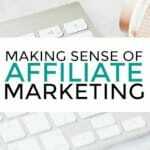 Michelle is one of the best when it comes to affiliate marketing (she makes 6 figures every month from her blog), and learning from successful people is one way to grow quickly. I am a huge fan of Facebook ads. I took Bobby’s course earlier this year and have been using his techniques to help bring in TONS of new readers to my site everyday.